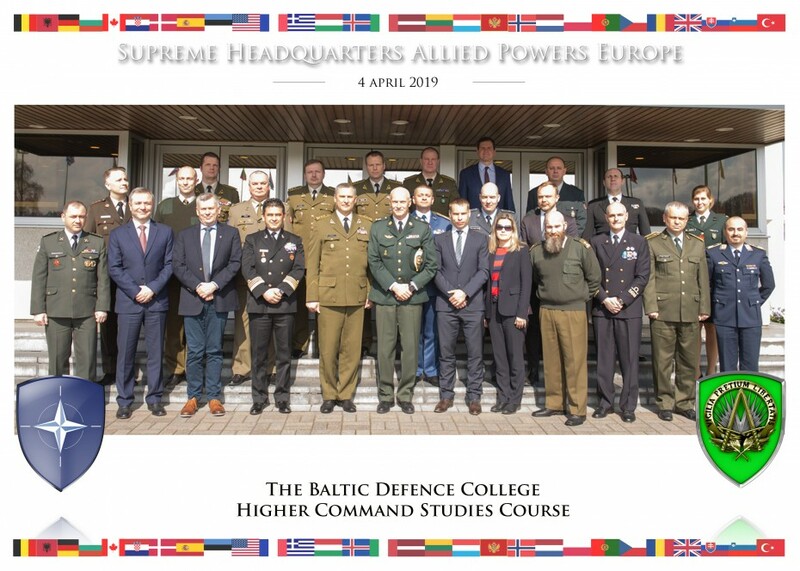 The Higher Command Studies Course (HCSC) 2019 of the Baltic Defence College (BALTDEFCOL) is conducting the International Study Trip (IST) to Oslo (Norway) and Brussels (Belgium) from 31st of March to 6th of April 2019. The IST is conducted as part of 'Module 3: Future Security Environment' to enable students to expand their understanding of policies and planning procedures of the visited countries and institutions. 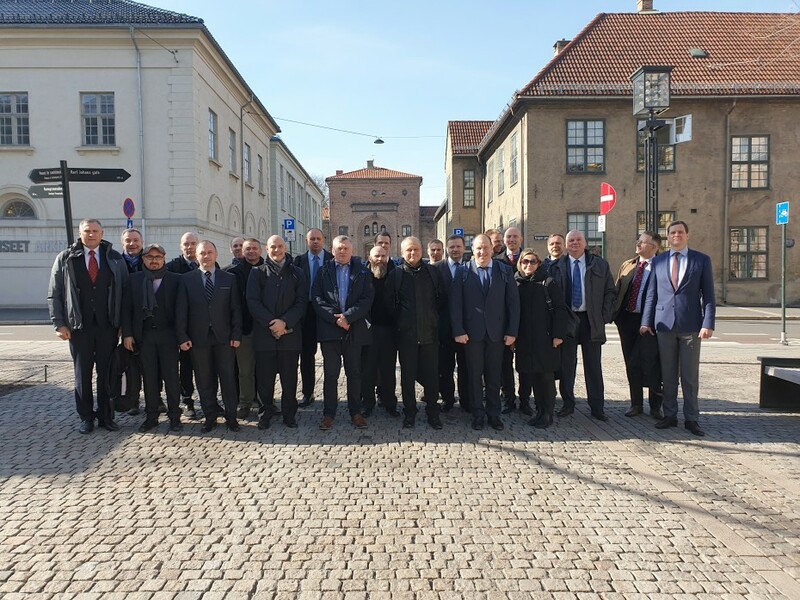 During the trip, the HCSC will receive briefings from Norway, NATO, EU and Belgian civilian and military officials on defence planning and policy-related topics. 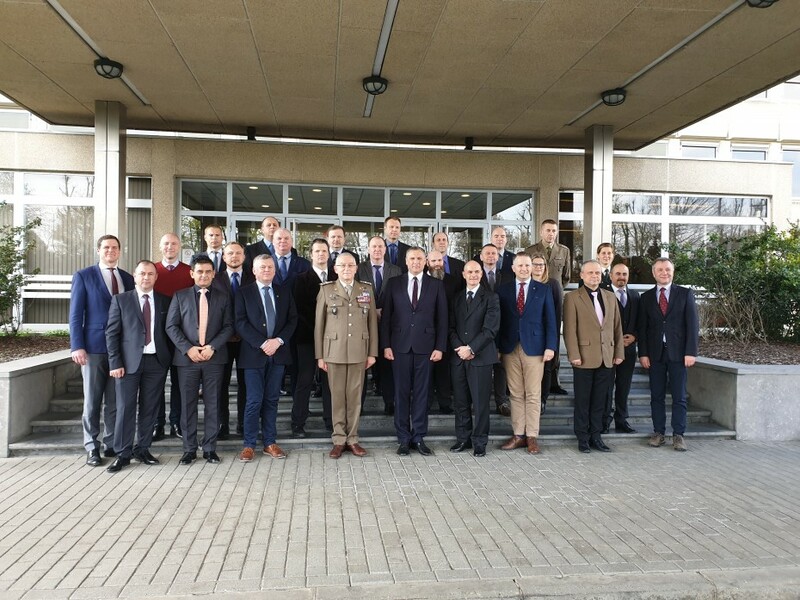 The IST will provide insights to review and further understand the defence policies of these important countries and institutions for the Baltic states and explore strategy making on regional and global levels. 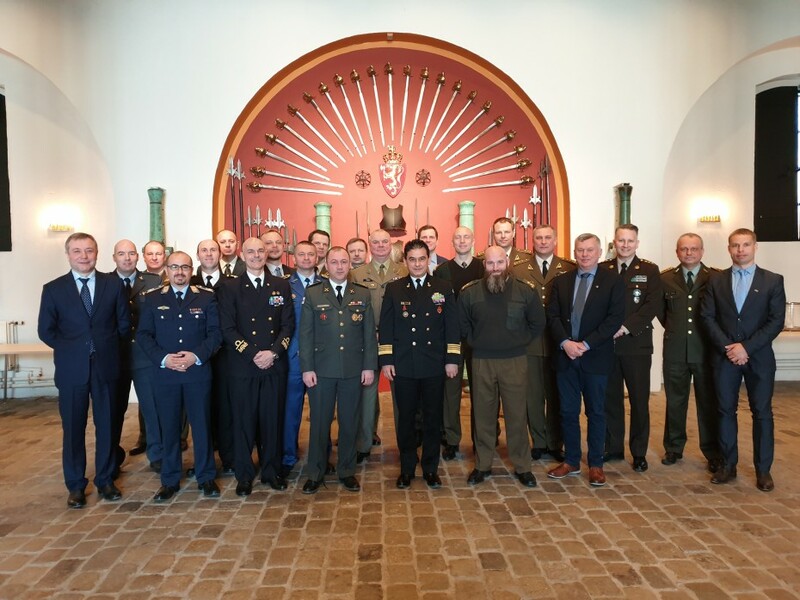 Day 1: On the 1st of April, HCSC visited the Norwegian MOD and Defence Staff where they had the opportunity to learn and discuss about Security Policy, International Cooperation, Armed Forces and some lessons learned after Trident Juncture 2018 exercise, that included the challenges for Host Nation Support and Norwegian Total Defence Concept. 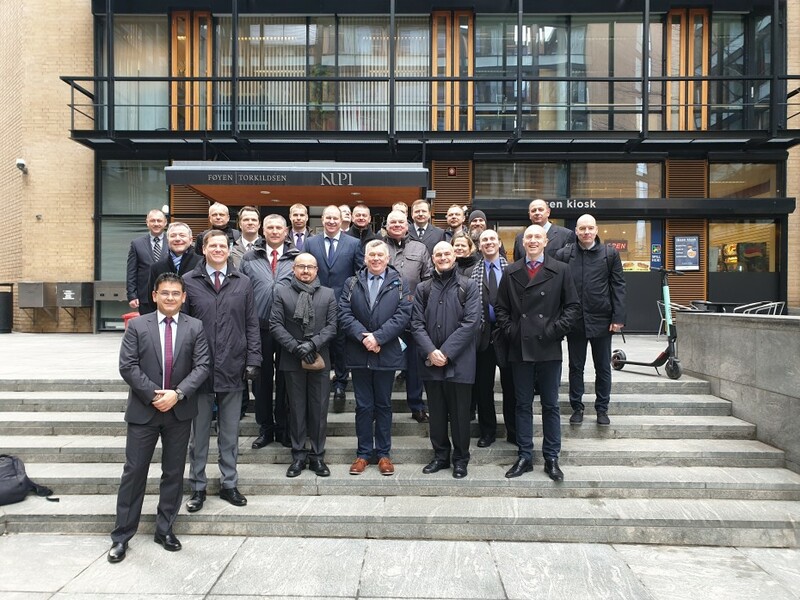 During the Norwegian Defence Research Establishment (FFI) visit (the only major defence Research and Development institution in Norway), topics like terror in Europe, Civil-Military cooperation challenges and Emerging Security Challenges on NATO's Northern Flank were addressed. Day 2: HCSC 2019 students continued to explore the policies of Norwegian Defence and Foreign Affairs institutions. In the Norwegian Institute of International Affairs (NUPI - an academic and applied research entity for Foreign Policies), topics related to Practical Diplomacy, Brexit's effects, Technology and Artificial Intelligence, and Defence Policies from a Foreign Affairs perspective were addressed and discussed. 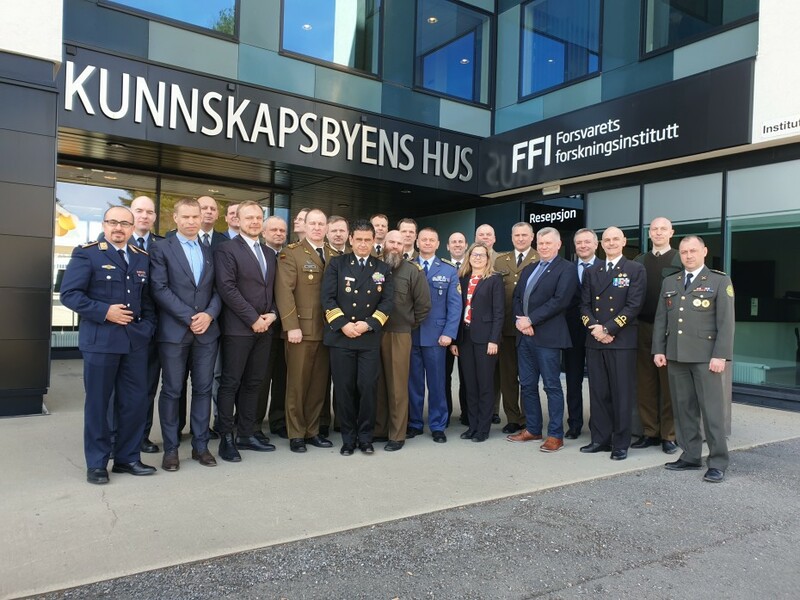 The trip to Norway was concluded at the Institute for Defence Studies (IFS - a part of Norwegian Defence University College), where the future prospects of Nordic Defence Cooperation and research projects related to Civil-Military Relations, International Security and Defence Reforms were presented. Day 3: On 3rd of April, the HCSC visit in Brussels started at the Belgian MOD with an instructive session about Belgian Security and Defence Policy, with an emphasis on internal security, common projects and responsibilities at national level to include BENELUX cooperation, and EU between the two arches of instability. The study visit continued at the NATO HQ where HCSC delegation was welcomed by BG Frederic Pesme, Deputy Director of the Policy and Capability Division (IMS/P&C)who delivered a briefing on "70 years of NATO", Euro-Atlantic evolution, adaptation and transformation with a focus on enhancing Readiness, Mobility and the Relationship with the EU. 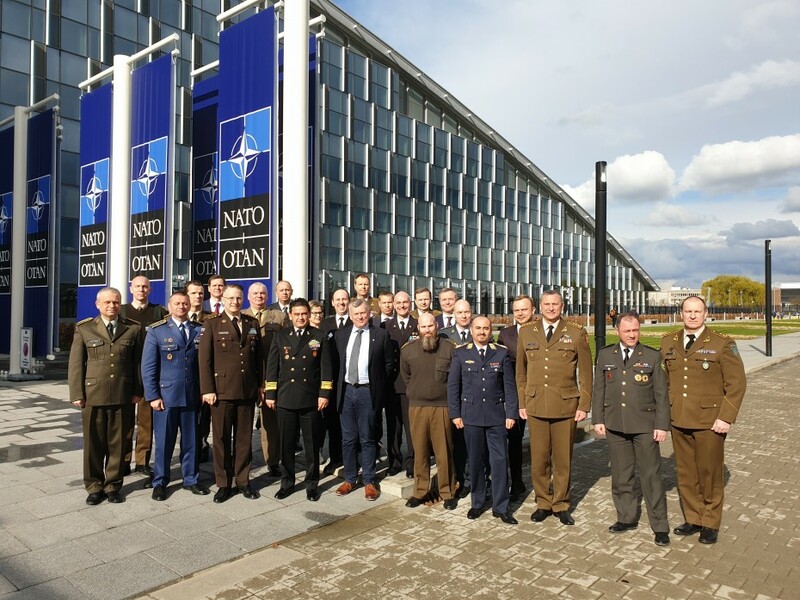 In addition, at the NATO HQ, during the follow-on briefings, HCSC students had the chance to discuss about NATO Missions and Operations, Threats and Challenges to NATO (Instability from the South, societal challenges, critical infrastructure and hybrid confrontations) and the new ACT adaptation as Warfare Development Command. 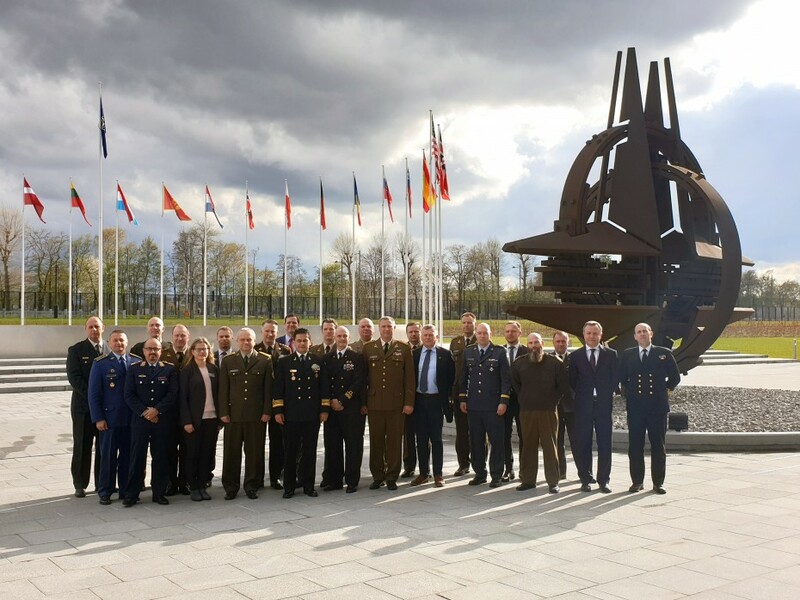 Day 4: Under the auspices of the 70th Anniversary of NATO, HCSC delegation had a full and fruitful day at Supreme Headquarters Allied Powers Europe (SHAPE) in Mons, Belgium. Welcomed by BG Gert BODE, the ACOS Resources Management, the delegation deepened their understanding of ACO Structure, NATO Command Structure Adaptation and CCOMC (Comprehensive Crisis Operations Management Center) - as an enabler of Strategic Decision Making and as a tool to avoid Strategic Surprises from a crisis perspective. 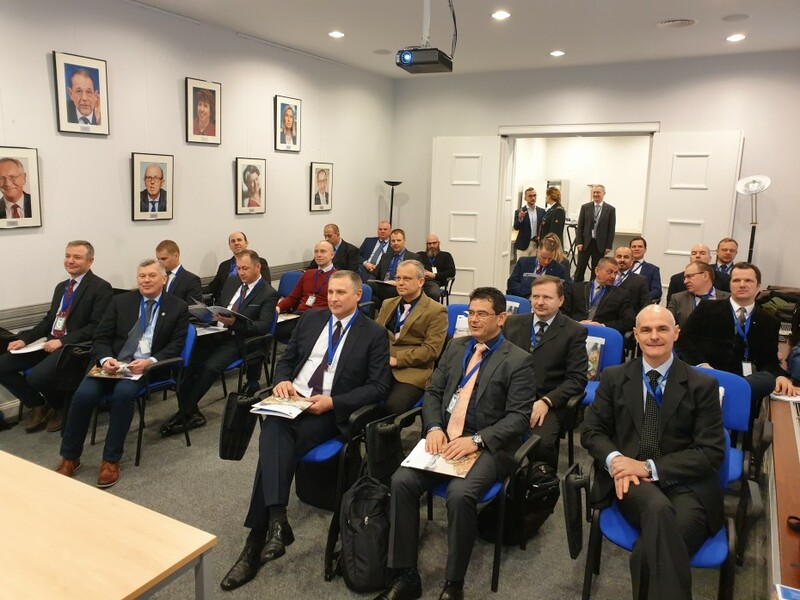 Moreover, NATO Current Operations in Europe, the optimisation and integrated reporting of Assurance Measures, as well as Focused Areas and Enduring Goals of NATO SOF Policy, Doctrine, Education and Training were addressed and discussed from the future perspectives. Day 5: On Friday the 5th of April, HCSC delegation started the day at the European Defence Agency (EDA - the intergovernmental agency and central coordinator of EU funds) with an overview of its structure, role and responsibilities, followed by presentations and discussions on Capability Development Plan (CDP), Permanent Structured Cooperation (PESCO) and Coordinated Annual Review on Defence (CARD). Defence Innovation with Key Disruptive Technologies and Military Mobility and related Action Plan were also addressed. 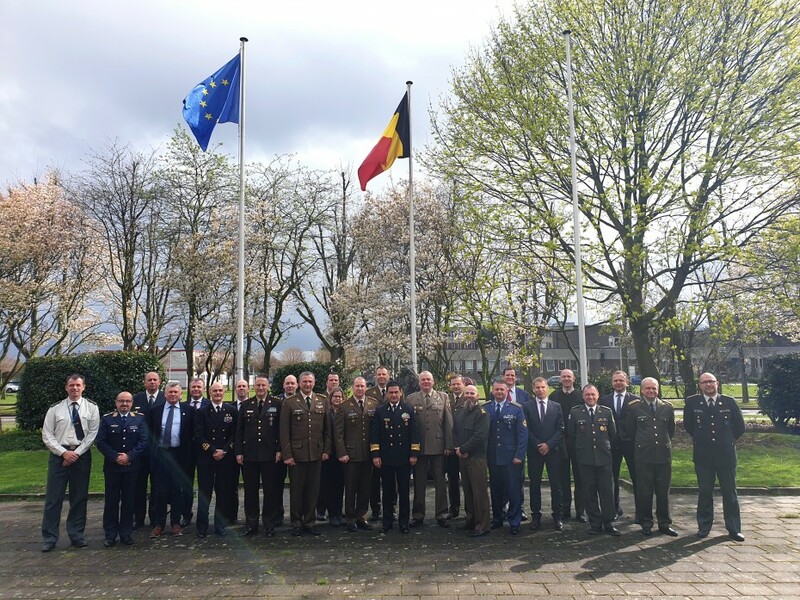 The study visit was concluded at the Belgian MOD where the Chairman of European Military Committee, General Claudio Graziano welcomed the HCSC delegation and provided a brief on "Military Aspects of the EU Global Strategy". 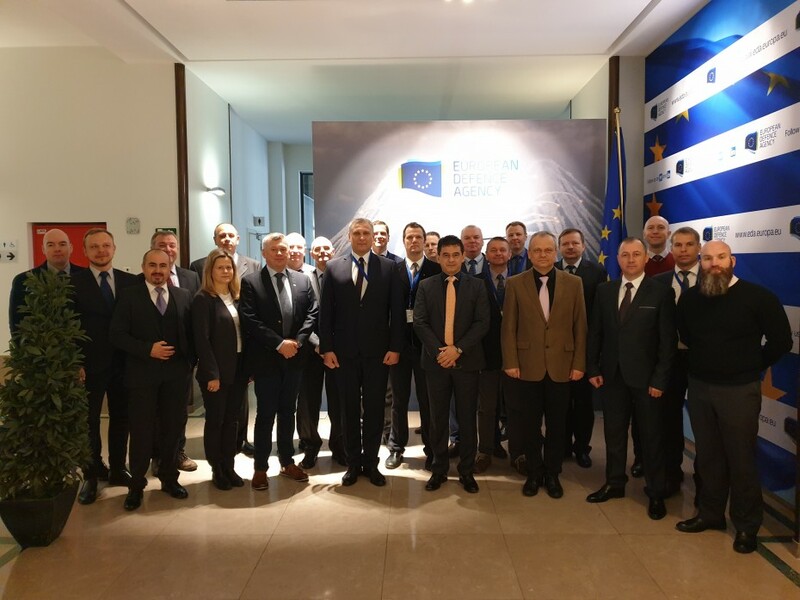 A special emphasis was given to the history of the EU Security and Defence Policy, EU Missions and Operations, EU Strategic Autonomy and NATO/EU Cooperation. This was the last day of the first International Study Trip for HCSC 2019 Class, a very useful and mind-opening trip with many takeaways and lessons learned. As the HCSC 2019 Class motto says, "The true sign of intelligence is not knowledge but imaginations"(Einstein), the students deepened their knowledge to use them for critical and reflective thinking, brainstorming and ultimately, imagination.